Like whispers in the dark"
A tall, strapping young man who seems to have the warmest smile, Sven is just as strong and built as his twin, but his preference for looser clothing hides his physique fairly well. He keeps his hair trim and styled the same way as Shiro, though by now he does it to increase the confusion between them. Sure, Shiro has the streak of white but that has never stopped Sven before. With kind eyes and a good laugh, Sven has taken to his position as a bronzerider in stride. He wears his knots with pride, and takes care in his appearance. Always. He prefers to wear looser, easy to move in clothing, with a sturdy set of boots and gloves. He has his share of scars from candidacy and the war, but they are far easier to hide. If Shiro responds to the world by being cautious and careful, Sven responds with a recklessness that may cost him one day. Life is short and life will always be short, but he greets it with the same enthusiasm and lack of self-preservation that he has greeted everything. He only pretends to have no fear. He greets the world with his head held high and needing to count his limbs at the end of each day to make sure that he is still in one piece. The bar is very low for success for him, or so he portrays to the world. He has a good heart, that is never in question. Sven is aware of the burden between himself and Shiro. There is an entire world that needs help, and they both have the position to do so. But he is very, very aware that bronzeriders are not welcome at the Reaches. He would never blame Cresceth. He would never. And honestly, he is so proud of Shiro for impressing bronze. If anyone deserved such goodness, it was and will always be his brother. Shiro is the good one. Shiro is the best of them. Shiro is everything he should be, but is not. Sven may not always think he is good enough for his brother, but he's good enough for Cresceth. Those moments are few and far-between, and he's glad of it. Never one without the other. That was Sven and his twin. Never too far apart, always one with the other. It was trouble for some, you could never just have one, you needed the set. Sven was trouble, and if Shiro wasn't there to pull him out of it, then he definitely would not have survived. 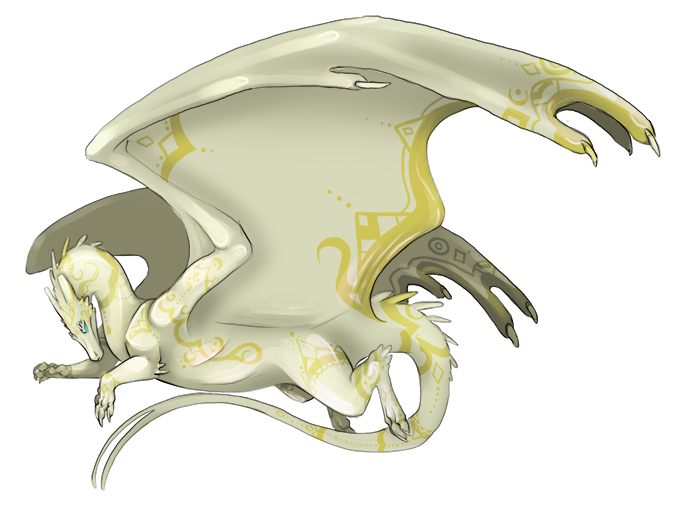 He was near thirteen when he impressed his white firelizard, and in a stunning display of originality, named her Black. 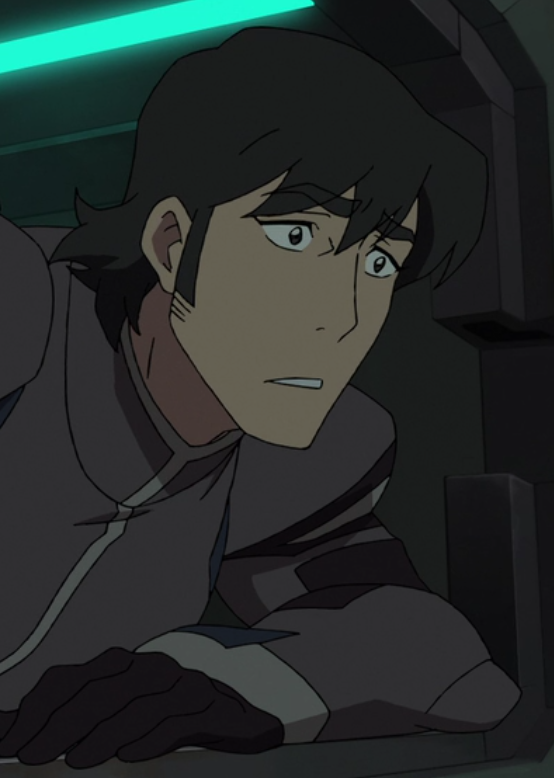 Either it was him and Shiro on the same wavelength, or they had conspired to do so, it didn't matter to him. Sven had Black. Shiro had Black. It was meant to be. At fifteen, he and Shiro were searched and taken to High Reaches Weyr. His brother was favored for Bronze, and Sven was more than content to just see what happened. He quickly was able to adapt to the harshness of the Reaches, to move as low under the radar as possible. Head down, learn everything. Adapt. Survive. The process was definitely not healthy, and lead Sven to more than a few bad situations that Shiro could not get him out of. And more situations that he did not tell his brother about. Scars were scars, didn't matter how he got them. Sven had pulled a lot of darkness out into the open when Shiro had gotten in trouble. Interfering with a bronze hatchling should have had a death sentence, but Sven would not have it. There was a lot of threats, blackmail, and terrible favors that lead to the alternative, and while Sven wasn't sure that isolation was better... his twin was alive, that was all he could ask for, even as hatchings came and went and he still was left standing. When Golre fell, Sven saw his brother off. Away from this. He insisted he would be fine. There was work to do, and even as just a candidate, Sven was going to rebuild in any way he could. And if there were eggs... well that would be a bonus. Terminath's maiden gave him the biggest shock of his life - Cresceth. A bronze so pale some might think he was gold, with the most beautiful trim. Conflicted feelings plagued much of his weyrlinghood, not sure if he should be or should feel the pride he felt, or if he was just going to continue the cycle. With Shiro and Lalauth mentoring him... well, Sven had a feeling he was going to be alright. FULL APPEARANCE: Radiance incarnate and nothing less. Cresceth is stunning. He is genuinely the pinnacle of bronze excellence. He is large, strong, and proud. His wings are narrow and his form lean. He may be mistaken for a gold in bright sunlight, something he takes offense to. 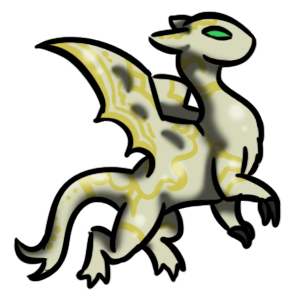 He is a pale bronze all over, almost as though his color never really came in properly. It is his markings that make him gorgeous and more than beautiful. They are gold-bronze all over him. First on his head, a crown mirroring Zalth, to show the two are equals. Then around his neck as an elegant collar, with swirls and dots like gems. There are intricate, regal markings over his wings, on his legs, down his tail. He looks like he was excellently painted in his shell. PERSONALITY: Serenity and grace, Cresceth is a force to behold. He is calm and charming, radiating a warmth that is hard to define. He seems to be the genuine antithesis to Zalth, though he too can be manipulative. He is much more subtle, trying to steer the world towards his view of right and just. He and Zalth will never see eye to eye, ever. Chopith is his best friend, and he wishes only good for his sickly brother. He is a strong fighter, though he prefers fighting to be his last resort if he cannot negotiate properly. He sees himself as prince, right to the core, and he looks the part. Why not play to that strength? To his rider, they are a partner. He will support them, even if he will not blindly follow their lead. He is a level, even head and voice of reason. He holds himself to a high standard, of strength and grace. He has to be at all times. Internally, Cresceth doubts his ability, and feels that if he is anything less than his best, then he is useless and has failed. He has no room for failure, even to himself. There is nothing that he will not do to bring peace to Pern, even if it means getting his claws dirty. An average white flit, with nothing particularly special about her, Black is definitely not what her name suggests. She's often seen on Sven's shoulder, and rarely far from either twin. A lazy sort of beast, Black prefers to not bother and not be bothered. She stirs for food, skritches, and Sven. Even Cresceth can't budge her, but her sister will and it annoys her to no end. She will take over any horizontal surface for a nap and complain terribly if she is slighted. Not the easiest creature to deal with but Sven loves her anyways.